It has been said that the best camera is the camera you have with you. A camera left at home because of its size and weight is of no use. Of course larger style cameras like DSLRs and their many lenses can take higher resolution images. This is especially important if you want to enlarge them to very large sizes (over 24”x36”). Professionals and serious amateurs do exploit these powerful cameras to their fullest. But the fact is, the far majority of non professional photographers never make enlargements that big. And lugging around a DSLR is heavy and most often quite expensive, especially if you also pack additional lenses. When you do pull out your beautiful DSLR to take a shot, you might as well have pulled out a hunting rifle, everyone runs for cover. Do you really need a larger DSLR? Ask yourself, how many prints do you make larger than A4 paper or about 8”x11”? Most of us can count them on one hand? The other thing is you don’t need a high count megapixel DSLR to take a good picture or enlargement. In the early days of digital, I made some beautiful 12”x18” enlargements from a Canon S45 – a 4 megapixel camera! Today’s 10-12 megapixel cameras can easily do twice that size. The point is, most of us do not need a larger DSLR for our every day pictures, including travel, holidays, and family photos etc. Don’t get me wrong. I love cameras and have owned and shot with cameras of most shapes and sizes, a 6x6 medium format system with 8 lenses, older twin lens reflex cameras, late model pro SLR systems with several fast zoom lenses and prime lenses, and many smaller digital cameras. I have also assisted professionals using large format cameras. We are living in a very exciting time in photography. The Holy Grail or perfect camera is within reach. For me the prefect camera is one I can have with me every day that takes great pictures. We need smaller more compact, lighter cameras that are easier to keep close by, either in a hand bag or case, even better if it fits in a pocket in the clothes we are wearing. Fast focusing and short shutter lag. Don’t want to miss the opportunity! The cameras presently on the market are excellent, almost approaching the perfect everyday camera. Below is a list (debatable) of 5 compact / smaller cameras that I really feel will take some great pictures and be small enough to use keep close by and use everyday. #2 Canon PowerShot S110. 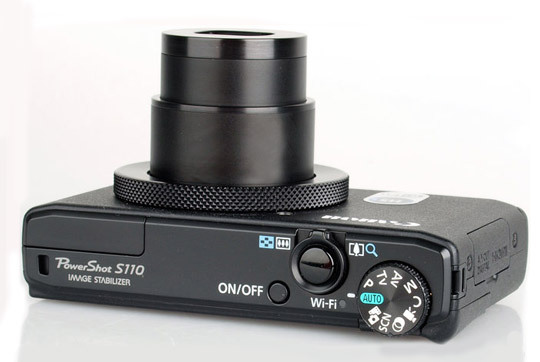 The Canon PowerShot S110 (about US$430) had a tougher time at the top as the competition heated up. The Canon S110 has fixed some issues of the S100 and is still an excellent camera. I am not as pleased with the slower lens. However the size, speed, and image quality are hard to beat in this compact powerhouse of a camera. #3 Canon G15. (About US$500) I have owned the Canon G7, G9, and G10. All excellent cameras. The G Series have the added advantage of an optical viewfinder )not just the rear LCD). 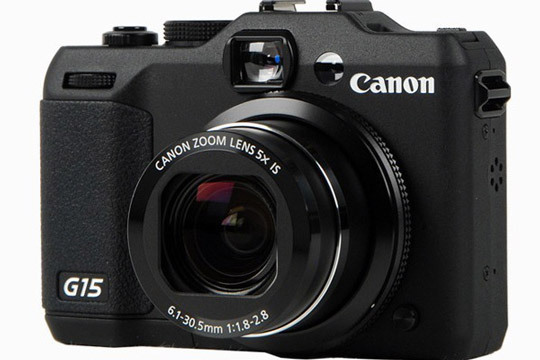 The latest Canon G15 has a flip-out LCD screen. They are larger and heavier but this makes for a nice handling camera. The downside to the larger size and weight is that they are not really pocket-able. So from my point of view, they fall lower down on the list. Because of the G15's size and weight the camera-left-at-home factor comes into play. 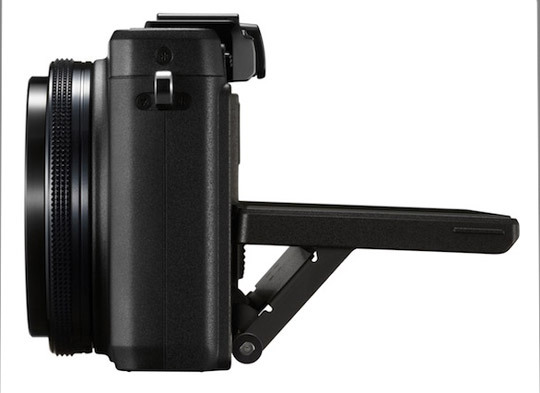 Still the Canon Gs (G10, G11, G12, G15) are truly excellent smaller cameras capable of capturing amazing images. It was reported that Annie Leibovitz, during a shoot with a larger format digital camera, took some photos with her G10. The photos taken with the G10 ended up in the magazine spread! #4 Olympus XZ-2. (About US$500) Looking back about 10 years, Olympus produced the C-3040Z and the C5050Z which featured some of the brightest zooms to ever appear on compact cameras. We all missed them. The XZ-2 continues on this fine tradition: fast lens (beautiful out of focus areas with shallow DOF), understated, but serious styling, very practical zoom length, image stabilization, etc. The only personal quibble I have with this camera is its size. It pushes the pocket-able definition to its limits. 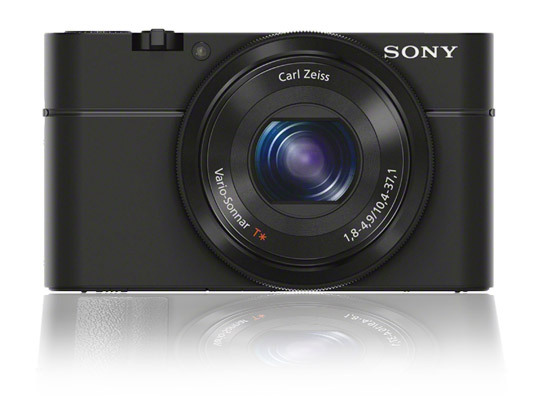 In all but this area the XZ-2 is superior to the Canon S110 but this is an important factor for me. #5 Olympus Tough TG-2 iHS. I love ocean sports and this is the best size/price option out there for a waterproof camera. The TG-2 adds to the TG-1's already impressive feature set and is even more waterproof adn rugged, with a better than average depth rating of 15 meters (50 feet). Not only is this baby pocket-able but also virtually indestructible. Tough specifications: It is waterproof (to depths of 15m), freezeproof (to -10 degrees Celsius), crushproof (up to 100kg), shockproof (up to 2m) and dustproof. This has to be worth some brownie points in my book. Bright F2 25mm to 100mm zoom lens. 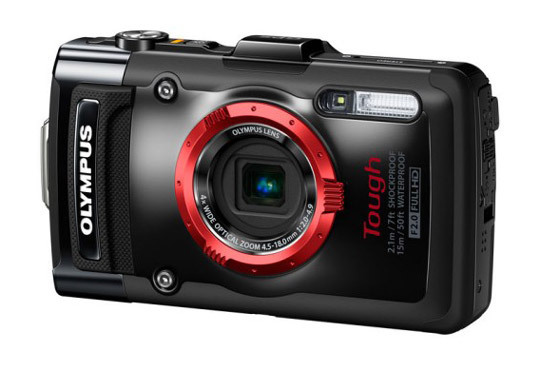 The Olympus Tough TG-2 iHS is capable of taking very good to excellent photos for a rugged point-and-shoot camera. Don't expect the photo quality of the XZ-1 in a rugged body, though. However, to make prints up to 9x12, you should be happy with its results below ISO 400.